SPARKcon produced by VAE Raleigh, a small arts nonprofit with a brick and mortar location at 309 W Martin Street in downtown Raleigh. We respect the brick and mortar locations that make downtown Raleigh an amazing place to be year-round. We are your neighbor. That is why we have always chosen to collaborate with our downtown businesses. 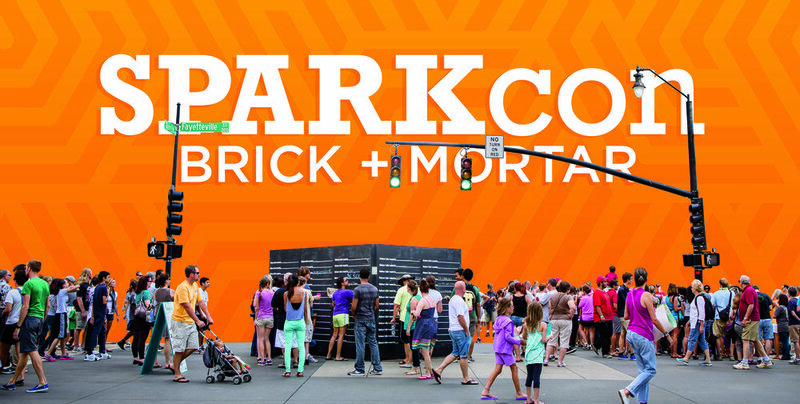 SPARKcon has always been a free and non-commercial event with no alcohol sales and limited food sales. It was designed that way so that the 84,000+ people we bring to downtown would find their way into your spaces and patron your businesses. Last year VAE staff and board members sat down with downtown business owners to talk about how we could work to relieve the September event fatigue, by making SPARKcon better for business. After that meeting we created way-finding signage, an "Eat, Drink, Shop Local" guide for our visitors (see photos below), and made changes to our footprint to make sure that our event compliment an already vibrant downtown. But those alterations didn't come cheaply. Now our event is in danger of being drastically cut or pushed out of downtown because we cannot afford to pay the rising costs of hosting a home-grown event in the heart of our city. 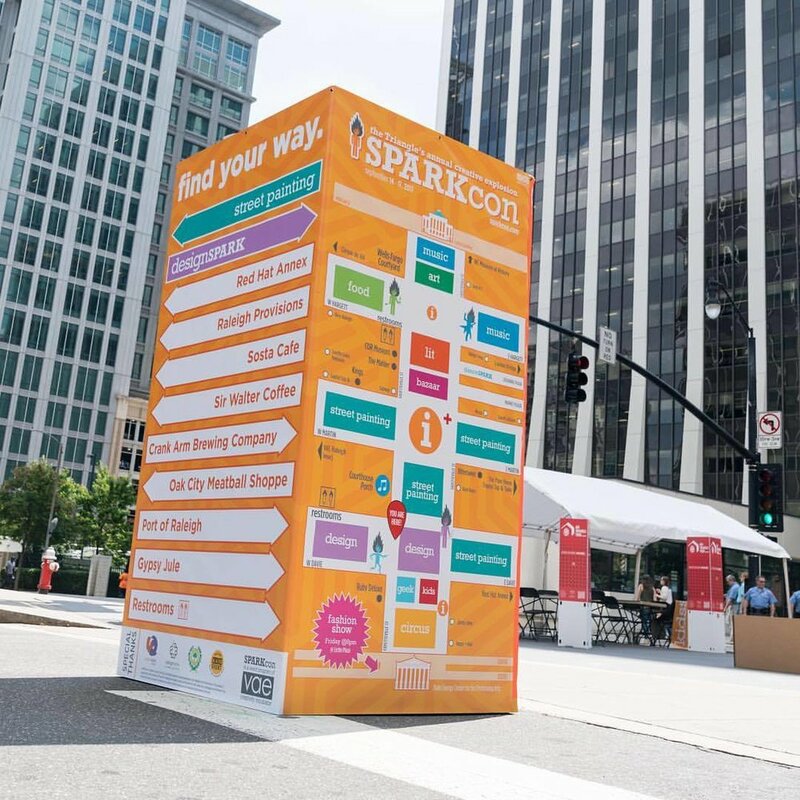 We have amazing sponsors who support SPARKcon year-after-year because they understand the value of the event, but as costs rise, additional financial support is needed. Unfortunately, some of the first things to go in budget cuts will have to be the things that make SPARKcon good for business.